1. The Bible. 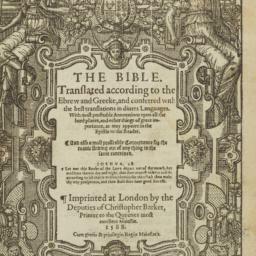 Translated according to the Ebrew and Greeke, and conferred with the best translations in diuers languages.